You have the right to make decisions regarding your own health care. You may accept or deny any medicine or medical treatment you wish. However, unless you have prepared in advance, you will lose this right if you become incapacitated and are unable to communicate how much or how little care you want to receive. For these reasons, La Quinta Estate Planning Attorney Sheila J. Barton encourages every adult to prepare an Advance Health Care Directive with the assistance of a skilled lawyer. With over 30 years of experience drafting health care proxies, Estate Planning Lawyer Sheila Barton knows the value of getting your wishes in writing. Without an Advance Health Care Directive, important decisions about your health may be decided by a family member or even the courts. Unless you leave instructions in a legal document regarding your health care wishes, the care you ultimately receive may not be what you intended. Contact La Quinta Advance Health Care Directive Attorney Sheila Barton for skilled legal assistance in preparing your Living Will. She is a compassionate legal advocate for your rights, and she will help you express your wishes in a legally enforceable document. Call (760) 834-0444 to arrange an in-depth consultation today. In addition to a Will and a Trust, an Advance Health Care Directive is a critical part of the estate planning process. It can accomplish three very important objectives. The individual you choose as your Health Care Agent will be making all care-related decisions on your behalf if you should ever become unable to make these decisions on your own. It is critical for you to discuss your health care preferences with your Health Care Agent as soon as the document is created and while you are in good health. The Advance Health Care Directive generally provides an outline for the level and nature of care you prefer to receive. You may consider including specific information, such as your wishes for life-saving measures, organ donation, living arrangements, and other personal care decisions, including instructions for your funeral. Advance Health Care Directive Lawyer Sheila J. Barton can provide skilled advice while helping clarify your health care goals. By setting forth your wishes in writing, you and your family may gain peace of mind from knowing these arrangements are to be carried out as you have intended. This advance planning may help avoid disagreements and anxiety among your loved ones during stressful times. In the event you are unable to make decisions regarding health care on your own, your designated Health Care Agent will present your preferences to your medical provider and begin making decisions as you have directed. This document may be updated and modified as long as you have the ability to do so. Contact La Quinta Advance Health Care Directive Lawyer Sheila J. Barton to discuss your options and begin the process of creating a health care proxy, sometimes called a Durable Power of Attorney for Health Care. 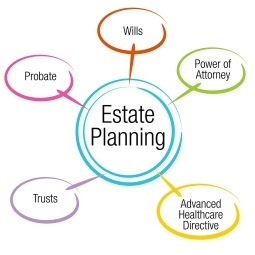 Call (760) 834-0444 and arrange for a meeting with Estate Planning Attorney Sheila Barton. You may also complete our Case Evaluation Form online, and we will contact you to schedule your consultation. Whether you reside in the Coachella Valley, in another California city, or anywhere outside California, La Quinta Estate Planning Lawyer Sheila Barton can help prepare your Advance Health Care Directive and comprehensive estate plan. Call today.